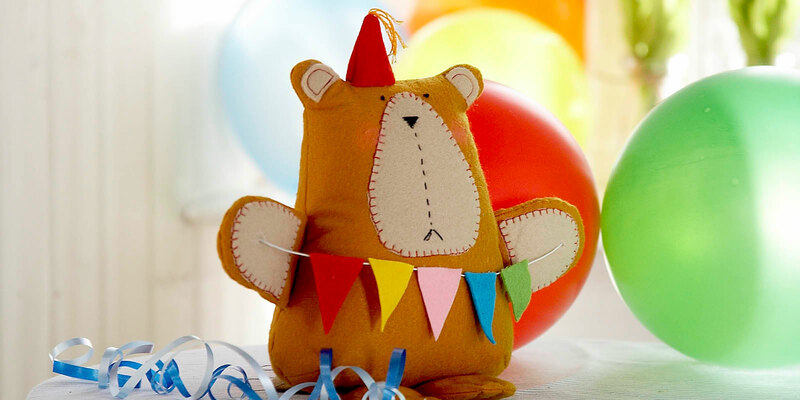 Made from felt, this cute bear is so simple to make and can easily be sewn by hand. You could use an old pair of jeans and a checked shirt to make a recycled stocking, and even put an initial on the pocket to make it personal! This calendar is quite large, but year after year you’ll be able to fill it with all manner of goodies! These pumpkins make a stylish Halloween display but can double up as pin cushions too! This elegant bunting is pretty enough for the bedroom as well as adding a touch of style to your dining room or living room.